Dual mode. Dual SIM. 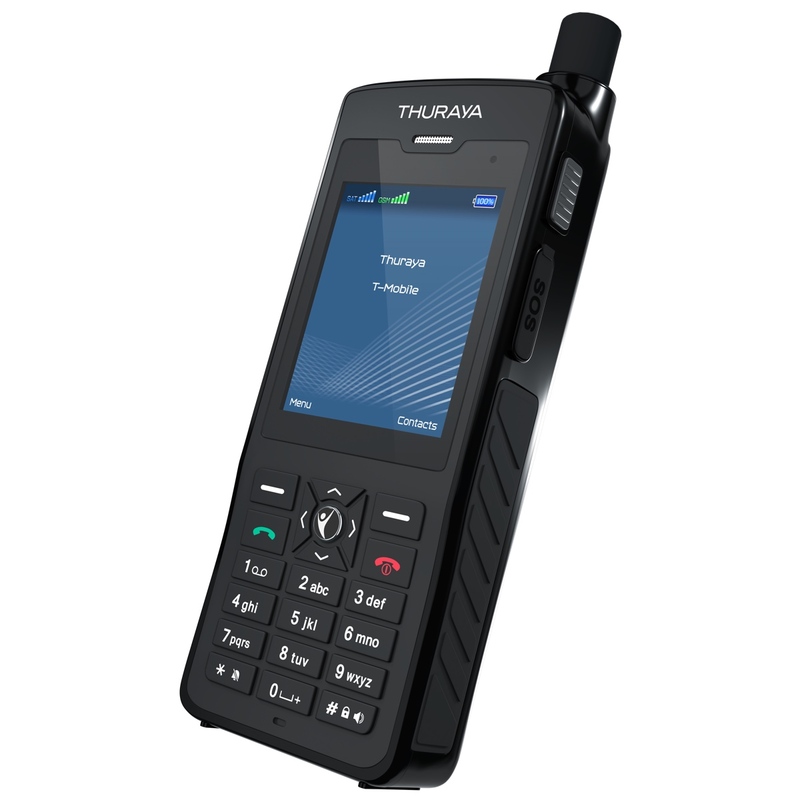 – Communicate seamlessly in satellite and GSM mode: the world’s first phone to combine dual-mode and dual-SIM, the Thuraya XT-PRO DUAL has two SIM card slots for complete flexibility and choice. SAT and GSM “Always On” – Make and receive calls simultaneously on both networks with the XT-PRO DUAL’s unique SAT and GSM “Always On” function. Advanced navigation capabilities – Select your preferred navigation system and choose between GPS, BeiDou, Glonass and Galileo for the highest flexibility in all regions. Then use your XT-PRO DUAL to send your coordinates to pre-defined numbers via SMS or email, based on preset time intervals, distance travelled or movement beyond your preset geofence. Most powerful battery – Equipped with a long lasting battery, the XT-PRO DUAL has a talk-time of up to 11 hours and a standby time of up to 100 hours, enabling reliable communications whenever you need them across an extended period. The status indicator gives you accurate readings with the remaining battery percentage indicated in 1% intervals. Glare resistant Gorilla® glass display – Toughened glass for harsh conditions and a customized outdoor display delivers easy readability in direct sunlight, no matter how bright the conditions are. Dedicated SOS button – The XT-PRO DUAL has a dedicated SOS button, which is easy to use in times of distress. Even when the phone is switched off, simply press and hold the SOS button for three seconds. This starts the handset and triggers the emergency service call (and/or SMS) to any pre-programmed number. Rugged design – The XT-PRO DUAL is water and dust resistant as well as shockproof to withstand harsh environments. Supported by the most robust and powerful satellite network, Thuraya’s system is renowned for having the most reliable satellite network, and the advanced omni-directional antenna of the XT-PRO DUAL ensures uninterrupted signals when walking or moving, offering full walk-and-talk capability. Incoming call notifications in satellite mode – The call notification function operates in satellite mode even if your satellite signal is too weak to receive the call itself. This is particularly useful when your phone is in your pocket with the antenna stowed, keeping you connected at all times.